With the language being so complex, hard to get the tones right and those characters being hard to translate, getting around China isn’t easy. Luckily we’ve had our project assistants with us during working days, AND been fortunate that they’ve even wanted to hang out with us at the weekend too making it super easy to get around, ask questions and order food – AKA China level 1, maybe level 2, catch my drift here? 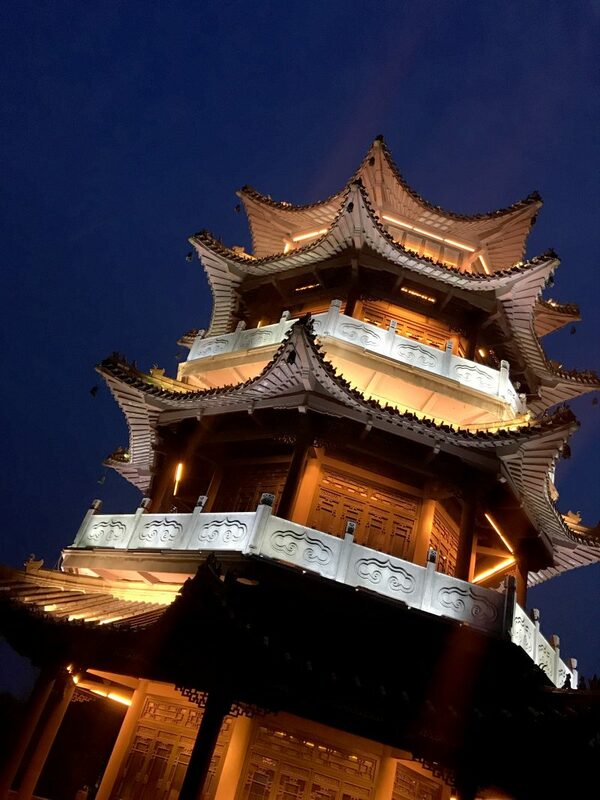 Let’s set the scene, three groups of us went to Wuxi on Saturday, some of the project assistants went with two of these groups. 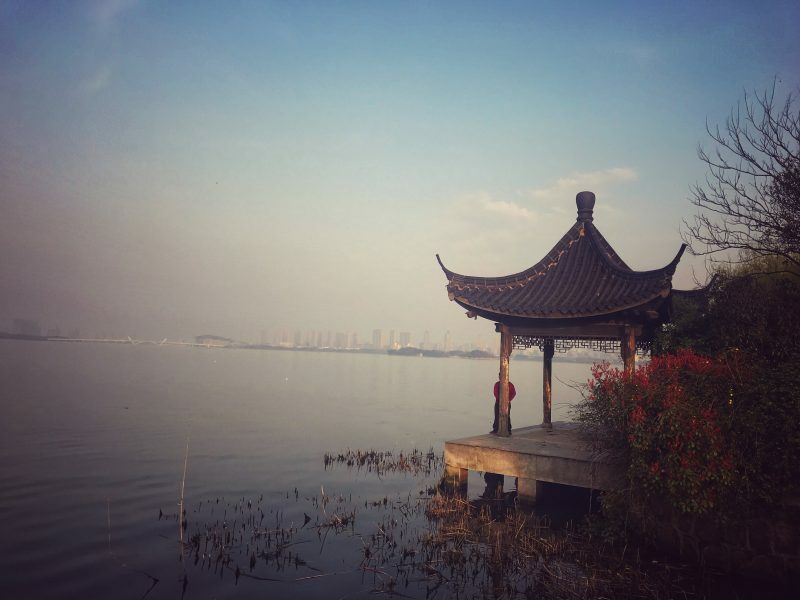 In training for venturing around China alone, six of us headed to Wuxi ALL BY OURSELVES. A DiDi to the train station, and using google translate we got tickets to Wuxi East (an important point to note). 15 mins on the high speed train and we were there. 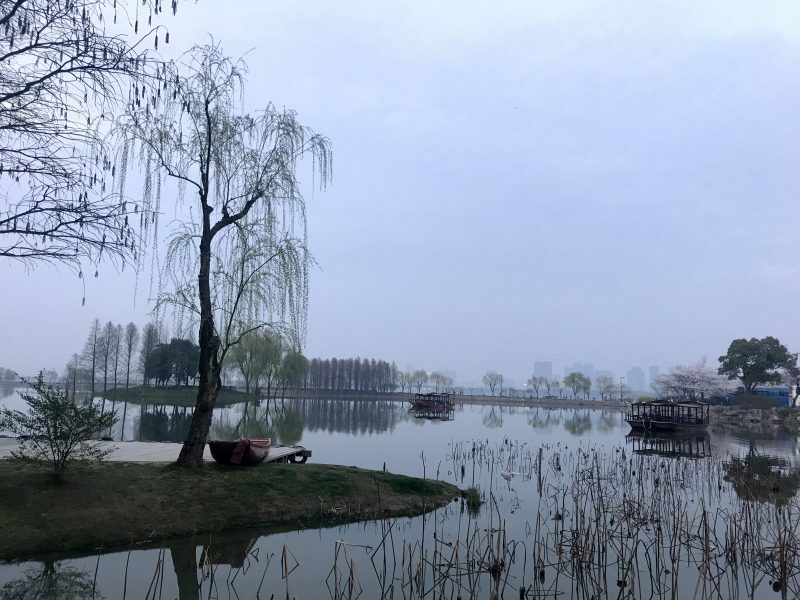 Now to get to Yuantouzhu Park (鼋头渚), which is notorious for gorgeous cherry blossom this time of year (the very nice park). Level 3 – which location? 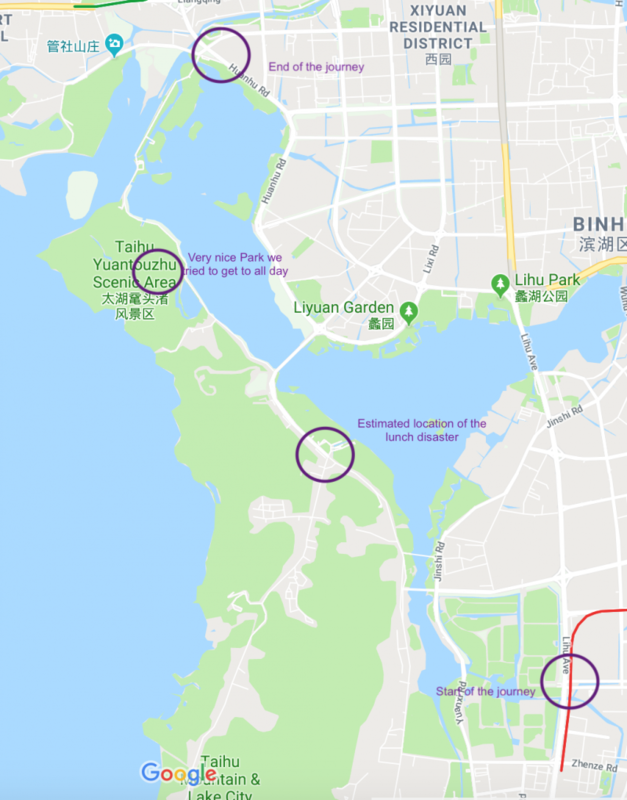 We levelled up after we spoke (ok google translated) with the tourist information lady, got a location from a map and got a 6 seater to take us across Wuxi towards Lihu Lake and what we thought was the right area to cross over the lake to the park area. The following 90 mins gave us a full tour of Jiangnan University and we struggled to get bikes (without Alipay this isn’t possible), find toilets (a venture to the library) and plan a route across the water. 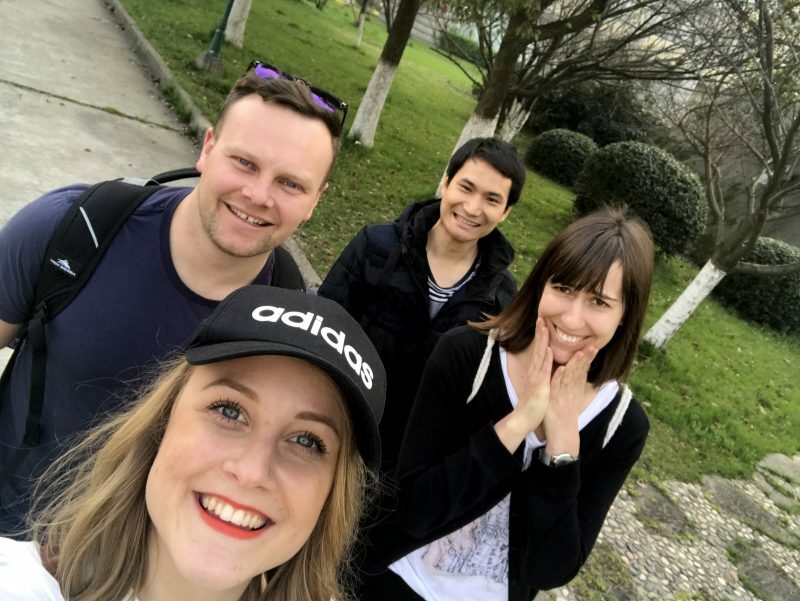 Some very kind students tried to help us with the first two points, but fully refreshed we decided to use our legs and headed over to Chang Guang, National Urban Wetlands Park. We soon realised we were 7km away from the very nice park we had planned to go to. Restaurants in China are easy to order in if there’s photos on the menu – or your google translate doesn’t start translating downwards rather than across. I decided to try and order things we liked, such as fried noodles, dumplings, rice, cabbage blah blah. With the aid of google I managed to order them all – winnerrrr! I was feeling pretty smug if I’m honest. Ten minutes later the waiter returned, he shows me his phone “all you’ve ordered is breakfast”. 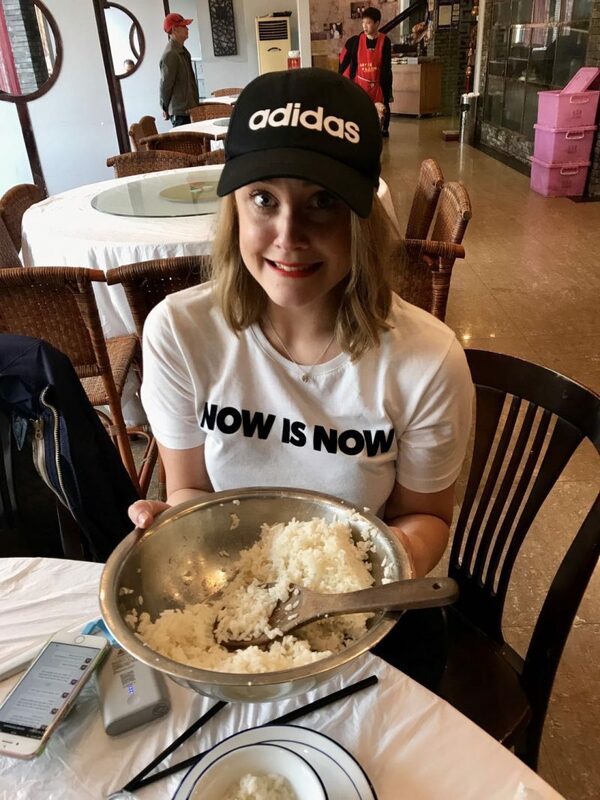 The following 25 mins was a full test of my food ordering patience as between myself and three waiters I tried to order one vegetarian dish and other stuff for the group. Vegetable fried rice and dumplings – seemed pretty straight forward until the food arrived (please note, during the time this was happening to us, a huge group of Chinese tourists came in, ate a huge meal and left haha). Plain rice and cabbage arrived. 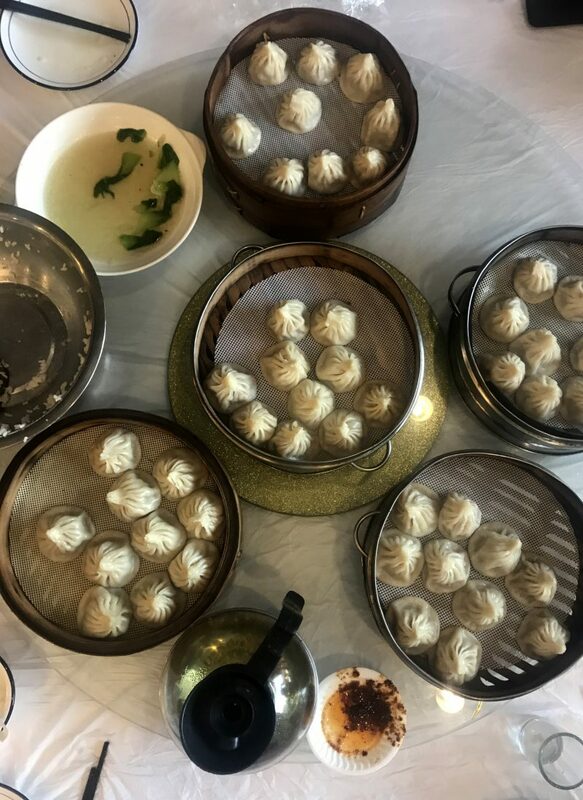 15/20 minutes later, 50 pork dumplings came to the table – we were laughing so much. Comparative to our meals when we have Chinese people with us, this was the most hilarious meal we’d had. Despite how average the 50 dumplings were, the good news was, we weren’t hungry anymore so we ventured on North to find this mysterious “very nice park” we had been promised by the internet (and the other groups who had managed to make it there much earlier than us). After some serious walking, and, as the sun set, we bought our tickets (at a discount mind) and headed through the park. During dusk we climbed step after step to get to the top of a hill to check out the view across the park and all the gorgeous trees. After the long walk, we had another long walk back to the mainland and were so glad to finally grab a couple of taxis back to Wuxi East train station. There were no more trains from this station. We had to take a 40 min metro journey to try and catch the last train from WUXI station. Down we went – 18 stops to take across the city – basically back the way we came – see map!! A few minutes into the journey Laura realised that the metro finished at 22.00 – it was 21.55 (what metro finishes this early on a Saturday night?!). 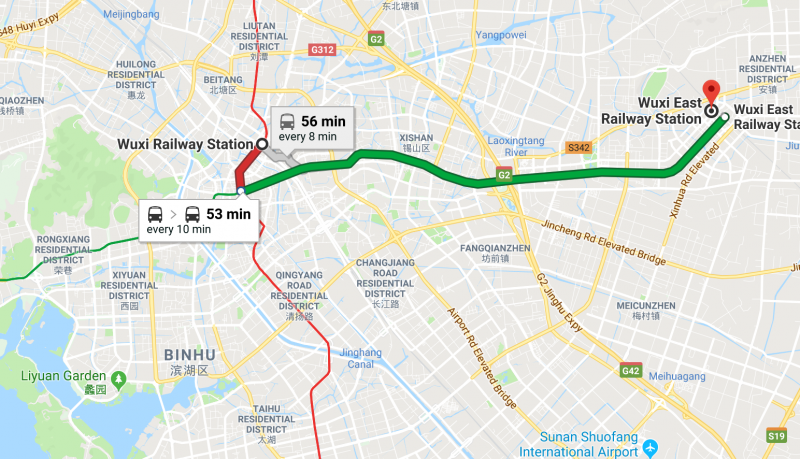 I doubled checked with a couple just down for the carriage and next thing you know we’re running out of the next station grabbing Didi’s to Wuxi station. A serious team effort of running, queuing and communicating with the ticket clerk meant we just got booked onto the last train of the night, 22.35. 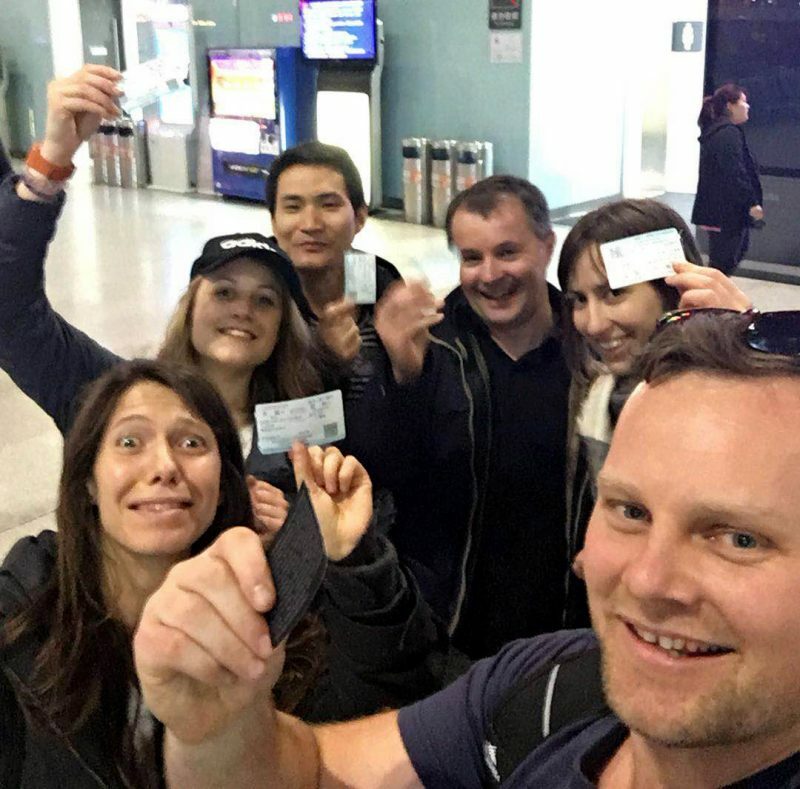 We had already searched how much a hotel would be, and even if it was possible to take a taxi back to Changzhou – emergency efforts just in case haha! We have never been happier to see the front of our home (aka the hotel), when we finally made it back around 11pm. China, level 8 – complete. Hey I'm Sarah. You used to find me in London drinking coffee and working in advertising.